Best entrance to a talk show in history. Chris farley on letterman. 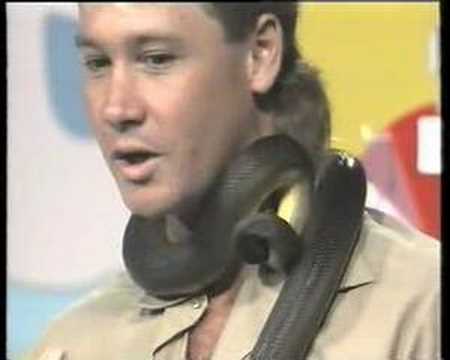 That time Steve Irwin was bitten on the neck during a kids TV show in the 90's.